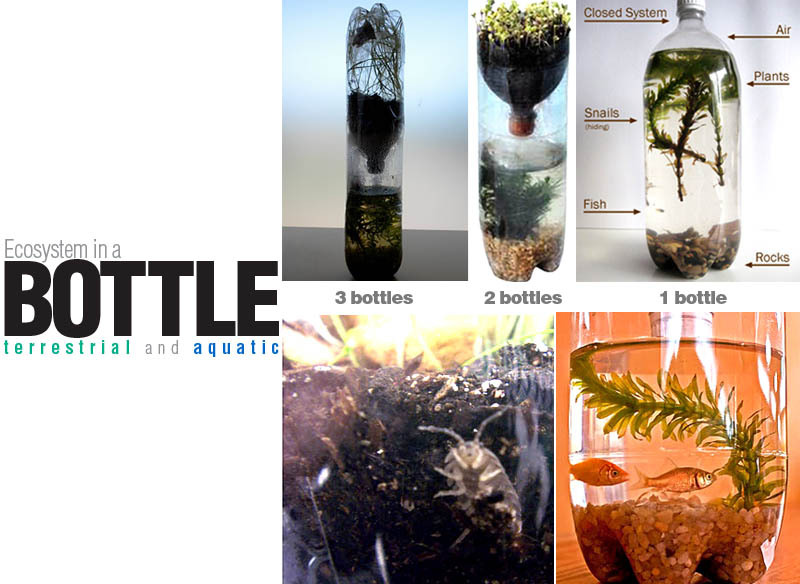 Create a 1 to 3 tier ecosystem using soda bottles! 3 bottle construction - Scribbit: Motherhood in Alaska. Also check out Cranberry Corner. Visit Annenberg Learner for activities to go along with your eco-column! Visit Bottle Biology for more ideas! Check out NFBWA to see how to make a compost column! Interesting..cool way to learn eco science.